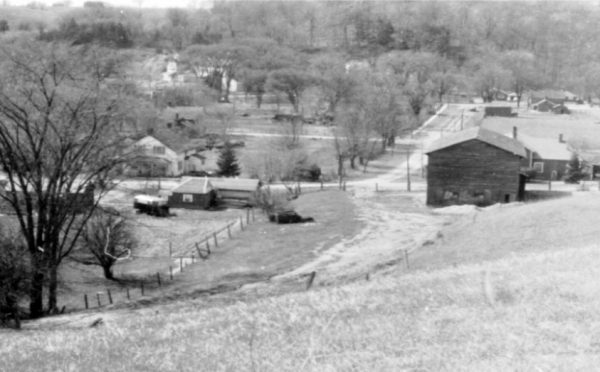 What the log school might have looked like. 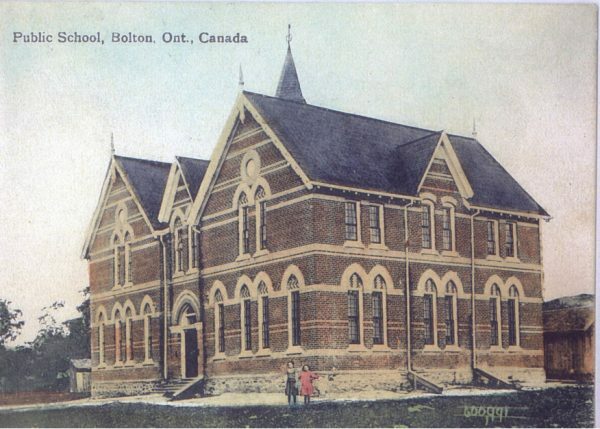 Bolton had been without a teacher for some time and the newly appointed school board, which included Charles Bolton, hired Samuel A. Walford for the job. 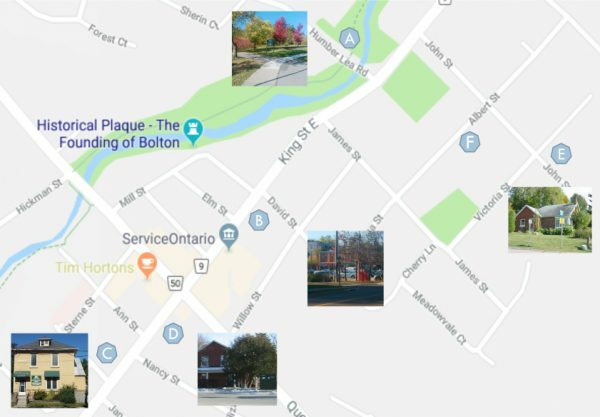 The late 1840s were a period of major economic growth in Bolton. As demand for flour continued, the mill doubled its size again in 1850. 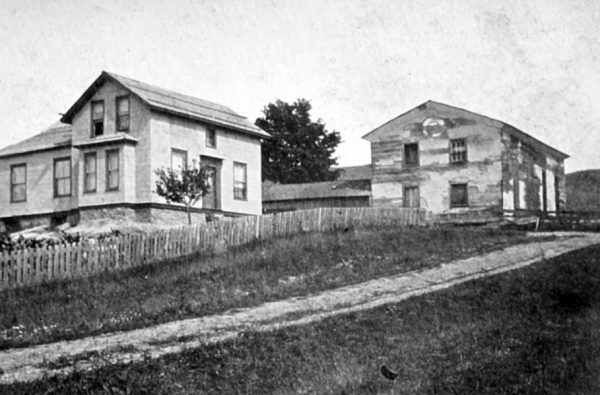 Pre 1911 photo of the 1854 school. 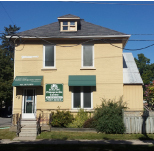 This 1911 Building at 3 King St. W. replaced the schoolhouse. 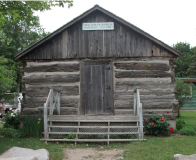 It’s demolition in 2015 revealed the school’s original fieldstone foundation. 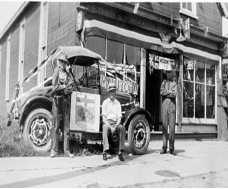 The Town Hall building (by then a Ford dealership on Queen Street) circa 1930. 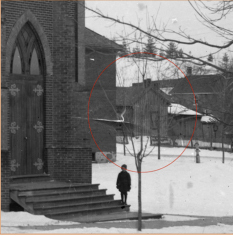 Part of the missing map showing a school along King Street West. 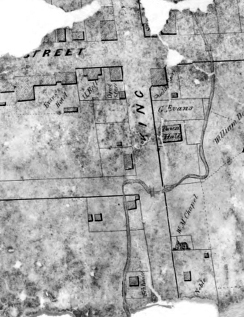 This map extract is from a larger 1854 map discovered in the attic of an old house on James Street during a demolition in 2013. 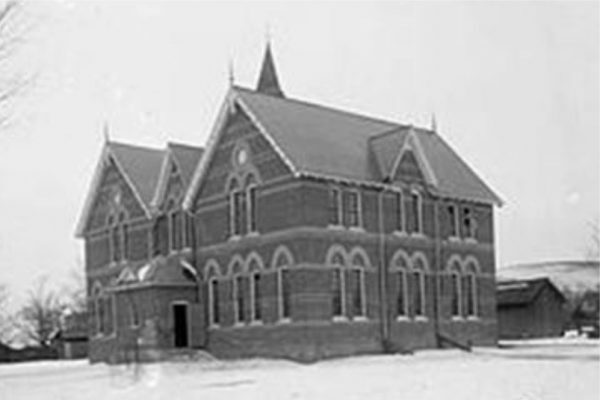 Continuation classes began in 1910 which caused space constraints. 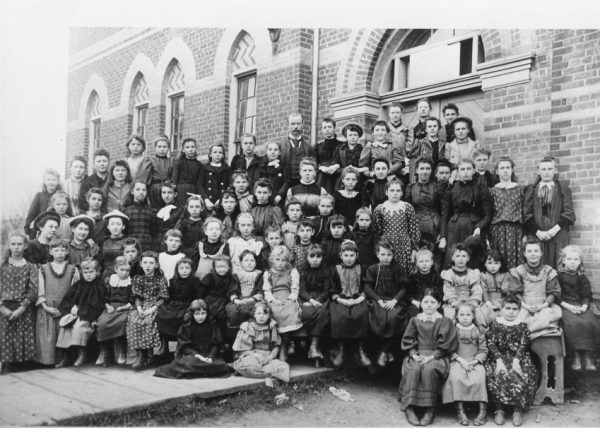 To alleviate the overcrowding, an elementary school classroom was set up in the Creamery for several years.